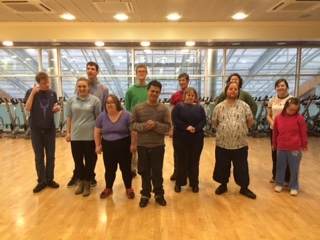 Doorways Dance Group is an integrated dance group for young people with or without disabilities. The class offers an opportunity to explore movement, imagination and much more. The group works towards performances in the Honeycomb Dance Festival and the Whizzfizzing festival. It meets on Wednesdays from 4-5pm at Aqua Vale Leisure Centre, Aylesbury, during term time. Each session costs £5.75. Fees are paid termly in advance. If you would like any futher information please email us. Click here to find out about the disabled sports facilities in the Vale.